It’s time to celebrate! 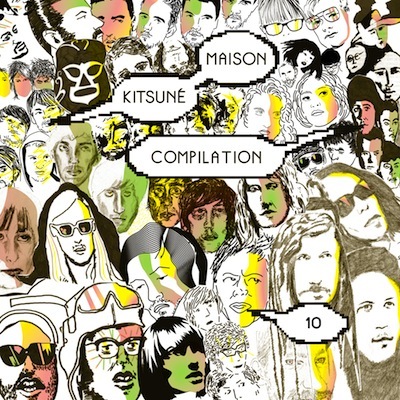 Kitsuné Maison 10 is out now digitally and on the 29th as a CD and it’s a blast. Or fireworks, to be more precise. Indeed, the tenth volume of the now legendary Kitsuné Maison compilations has been dubbed “The Fireworks Issue” and after giving it a listen, we know exactly why. This great mix is ten times more pop, more electro, more rock, more everything, more more more! As a teaser, listen to two tracks below. Brought to you by Melbourne.based band Strange Talk, “Climbing Walls” is built around a gloriously cheerful chorus, flashy electronics, and a fat bassline… These guys are like a super hybrid of Phoenix, Passion Pit and Empire Of The Sun and they already have major OZ radio Triple J raving about them. Rumour has it that the band’s debut EP should be out early next year. In the meantime, check out thier page on MySpace for tour dates. “Sorry” is a sublime disco track made by German producer Justus Köhncke with guest vocals provided by Hot Chip‘s Alexis Taylor. Find out more about Justus Köhncke on MySpace.